The PBE has been updated! 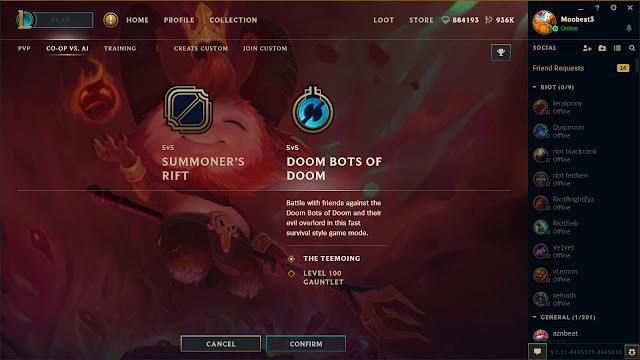 As we continue the 7.11 PBE cycle, today's update includes Doom Bots of Doom up for LCU testing, several tentative balance changes, a new Guardian Angel item icon, and more! Doom Bots of Doom has returned for LCU PBE testing! 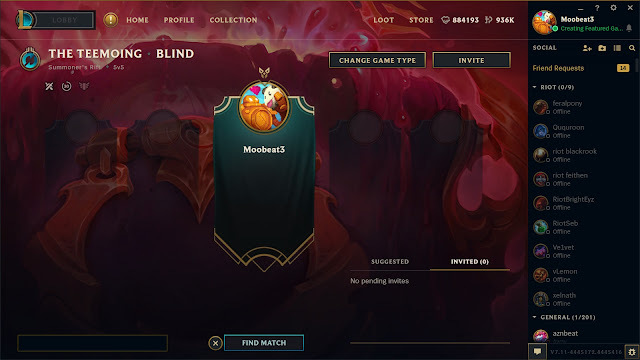 As we implement more modes into the new League Client, we will be shipping them to PBE early for testing! For this cycle, we are enabling Doom Bots for testing, so we can bring it back in a future patch! Doom Bots shows up in the Co-Op vs AI tab, instead of the normal spot Rotating Modes show up. There is a rare crash with Wukong Bot. This will cause you to see the "Attempting to Reconnect" message. If you receive this and there is a Wukong bot in your game, your game may be prematurely ended. Also this round, we have retired the Galio Doom Bot and fixed a slew of bugs from the previous release. If you have any feedback, feel free to post it here! 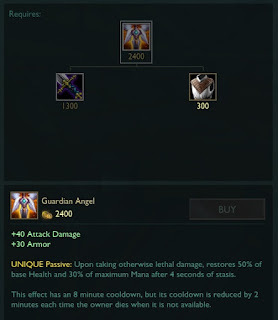 New Guardian Angel item icon (seen in 5/16) now hooked up in-game. Successful hunts to increase attack range lowered from 4 to 2. Mounting Dread (E) third attack/Wolf attack damage type reverted from magical to physical. Steel Tempest (Q) duration for stacks of steel tempest lowered from 10 to 6 seconds. 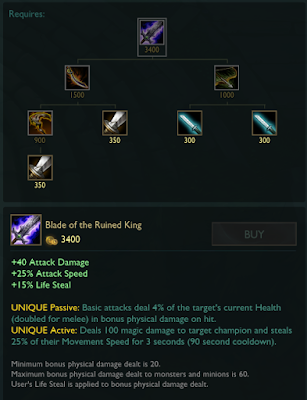 Sweeping Blade (E) cooldown changed from 0.5/0.4/0.3/0.2/0.1 to 1/0.75/0.5/0.25/0. [NEW] Cooldown reduced by 2 minutes (120 seconds) each time the owner dies when it is not available. 1) Meddler's 5/16 Gameplay thoughts mentioned upcoming tentative PBE changes for Rumble, Malzahar, and Caitlyn. "Yes neither E or Q damage are intended changes for PBE currently. It looks like a layer from before the recent buffs was went to PBE instead of the current live values. The values should be fixed on PBE within the next day or so." 5/16 PBE Update: Chemtech Tryndamere, New Icons, and more!